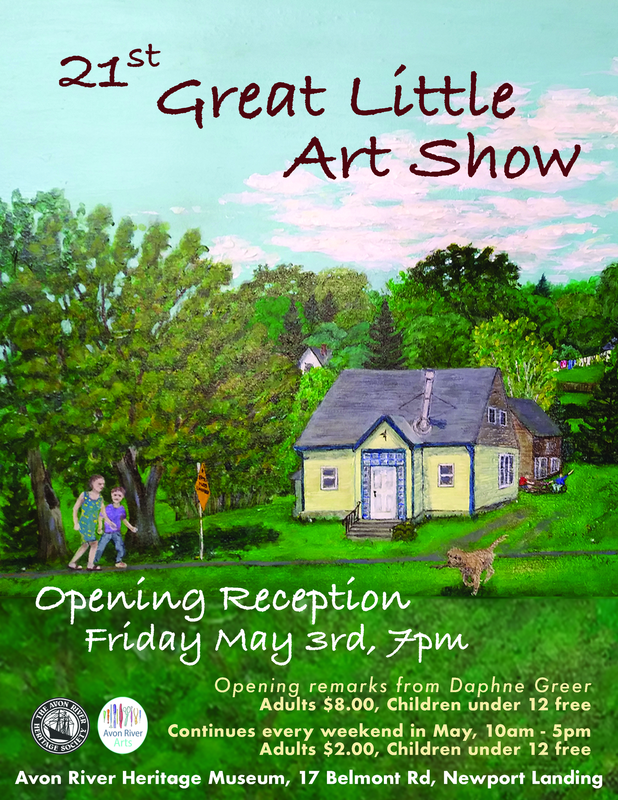 Join us as we celebrate the 21st anniversary of Hants County's beloved flagship art show. This annual celebration of local artistic talent has become a time honoured tradition, so join us as we raise a glass to our creative community and look ahead to another vibrant season. The opening reception will take place with welcoming remarks from local author, Daphne Greer. Viewing times throughout the rest of month are from 10 am to 5 pm every weekend. Opening Reception $8 Adults, children under 12 free. Weekends in May $2, children under 12 free.